Women love pretty pearls, beautiful baubles and gemstones that glisten. Women love jewellery. 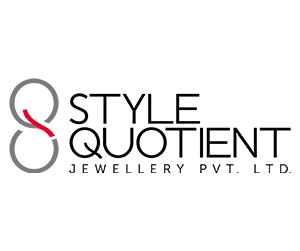 Style Quotient jewellery Pvt Ltd is in the business of crafting glamorous jewellery for women. Creators of exquisite jewellery crafted in precious, semi precious and non precious materials, SQJPL boast of an enviable portfolio of international quality brands like Being Human, Tarun Tahiliani, Silvostyle and Links of Life. Chic, Contemporary, Classy are just some of the virtues that amalgamate to form the nation’s fastest growing jewellery company. It’s our endeavour to create world class brands and showcase to the world, India’s skilled craftsmanship and design capabilities. The symbol of infinity in our brand logo represents the infinite ways the brand provides to its business partners and consumers, exactly what it stands for – a greater style quotient.